I teach a 9-week course on developing and maintaining healthy relationships. In the class we regularly do breakout groups of men and women to discuss a certain question or issue. In one of our classes we asked the men and women to split up and, as gender groups, identify their top 5 areas of marriage conflict. Like a couple other issues, both groups came up with the exact same list of conflict areas. Any guess as to what they came up with? 1. In-laws. Not everyone is blessed with wonderful, supportive, and caring in-laws the way I am. Some people have real conflict with their in-laws – conflict that results in fights, hurtful words, and even hurtful actions. One of the problems in dealing with difficult in-laws is that there is only so much you can do when it comes to other people’s behavior. In fact, you can’t do anything about their behavior. But you and your spouse don’t have to do anything with their behavior. What you CAN do is work on your responses to their behavior. The Bible tells us that the marriage relationship is the beginning of a new family unity. While there are still ties to the old family, we are told that the man leaves his father and mother and unites with his wife and the two become one. Simply put, your spouse becomes an extension of you! Now extend the logic – if your parents have a problem with your spouse then you should see it as though they have a problem with you (and vice versa). We need to be supportive of our spouses and “have their backs” even if it means coming against our own parents. If we take the Bible seriously about the unity within the marriage bond, then taking our spouse’s side against family is imperative. Too many “support” until conflict with the family occurs, then we quickly throw our spouses under the bus. Don’t fall into that trap. Get your partner’s back. 2. Money Issues. Always a biggie, isn’t it? One word: BUDGET! It’s important for couples to sit down and work out a family budget together. Each one should have a voice and give input for what the budget should look like. This should happen every month. The more you do it together the easier it gets. Also, it is important that spouses do not keep financial secrets from each other. It’s not “my money” and “your money” but “our money.” Remember, the Bible prioritizes marriage as unity. How we be united if we’re keeping parts of our lives from each other? 3. The Ex. Yikes. It seems that many people have a lot of problems with an ex. I’ve seen exes do some pretty crummy things. I’ve seen exes intentionally goad the new partner, pushing buttons and being an all-around jerk. My advice? Treat exes like online trolls (people who search for ways to stir up trouble) – all you can do is ignore them. If you engage then you take the bait and get caught in the trap. There is no good way to deal with a troll. They can’t be reasoned with. You can’t convince them of logic or fact. So ignore and walk away. On a relational level think of the ex in a similar way to the in-laws. The new marriage is what is important. You ought to be supporting your partner above your ex. That person is not part of the unity any more. There might be kids involved. There might be shared property involved. It doesn’t matter. Marital unity is what matters. Get each other’s backs, and leave the ex out of it. 4. Child Discipline. This one can bring up a lot of difficulties whether the kids are part of a two-parent household or if you’re in a blended family. The difficulty lies in the fact that we’re trying to get two adults to agree on the best course of action on how to raise and discipline other human beings. There’s no easy way to help to people come to agreement on the best way to raise kids. There are many different theories on the “best” ways. What I can say is that it’s possible for parents to find compromise. Each partner can up with a list of “non-negotiables” and a list of “preferables.” The preferable is where we strive to compromise (yes, that might mean giving in and letting your spouse win the day). This is not going to be a quick discussion, and there might be lots of give and take over the course of years of parenting. Don’t throw your hands up in the air and quit. Stick with it and work together. No matter what, even in disagreement, always show a united front before the kids. 5. Score Keeping. This is sometimes called quid pro quo which means “this for that.” It really comes down to keeping a tally of who did what and using that tally to try to motivate our spouses to do something for us. Healthiest relationships don’t keep score (I did it this time – it’s your turn to do it now). In biblical marriages, each spouse seeks to serve the other no matter who did what or how many times he did it. If I really love my wife I should strive to meet her needs, whatever those needs may be. That means that sometimes I will be the one cleaning the bathroom several weeks in a row (even though I REALLY don’t like cleaning bathrooms). It doesn’t matter how many times I’ve done it. I will do my best to serve her. And she ought to have the same attitude towards meeting my needs and serving me. It’s mutual. When this happens we can drop the score keeping and be confident in the fact that our spouses will do whatever they can to love and support us. What do you think? 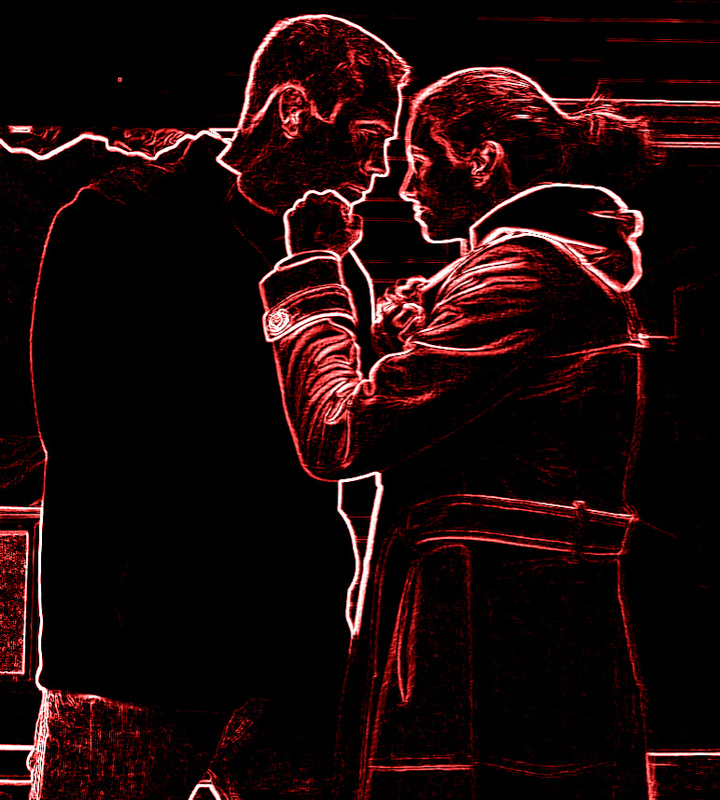 Have you had personal experience in these areas of marital conflict? Would you add anything to the list? I believe the Bible calls us to live in mutually submissive and mutually controlling relationships. I am not my own, but I belong to my wife. She belongs to me. I need to submit to my wife’s needs, wants, and desires. She needs to submit to mine. I believe the God calls us to this kind of mutuality. He takes good care of me when I am sick – it is a great feeling to be cared for when you are under the weather. And let’s face it: women tend to be better care-givers than men. But it doesn’t have to be that way. Next time your woman is sick don’t complain about how you have to pick up the slack. Force her to go lie down and volunteer to make dinner, bathe the kids, read bedtime stories, and whatever else she normally does ALL THE TIME anyway. He takes care of the kids without complaining – whether you fathered them or are a blended family, BE A FATHER to the kids in the house. He asks what I need to be content and happy – I’ve heard it jokingly said that “Happy wife = Happy life” but IT’S TRUE! Your life will never be happier as when your spouse is happy. Care for her. Nurture her. Find out what her happiness requires and then pursue it diligently. When she knows that you care about her happiness it frees her to think about yours (you both win!). He helps me with my job/career – your wife has dreams, ambitions, and goals in her life. Don’t think that she’s a bump on a log. Assist (as much as you are able) in helping her realize success in her career. He does things without me having to ask him to – seriously, take initiative. She doesn’t want to be your momma. She wants to be your partner. He has a good sense of humor – Everyone loves to laugh. We bond with people over laughter. If you and your wife find ways to laugh together it will help cement your relationship. Well, there you have it. It’s what our class came up with. You want a healthy and happy marriage? Put in the work to make it that way. How about you? What else would you add to this list? I have a lot of fun on Twitter. The community of Anons and Familiars has been a great place to interact with people make new friends. As I was coming up on my 4000th tweet I thought I’d have a little fun and ask people for suggestions on what I should tweet about. There was the usual snark and teasing that is normal from this community, but I ended up with 8 suggestions. Rather than trying to pick one to write a limited tweet about, I thought I’d write a blog post and address them all! So…in the order they came in, this is what some in the community came up with…. No, Daniel, not all the way! For those of you who don’t know by now, I’m not a KJV-lovin’ man. This is for two reasons. 1) I believe the Bible most effective for people is one they can understand. This was part of Martin Luther’s whole point in bringing the Bible into the common man’s language! If the Bible is unintelligible to people then it is no good. The English used in the KJV is fast becoming a dead language. Some words are completely out of use. Some words have completely shifted meaning. How is that a useful tool for understanding God’s revelation to us (especially since the original Bible was in Hebrew, Aramaic, and Greek anyway)? 2) I have a textual issue with the KJV. I am in the camp that believes the Textus Receptus is the inferior text type. I prefer the eclectic text represented by the Nestle-Aland or UBS Bibles (my graduate work was in Biblical Studies so if this is a little much information just message me and I’ll be happy to explain any of this). The state of being unknown. That’s the Anon world! I’m not gonna say too much on this at the moment. I’m in the middle of editing the first edition of a e-journal. Several Anons are getting together and submitting pieces for this monthly journal. The theme of Vol. 1 Issue 1 is ANONYMITY. Keep an eye out for it, it should come out in about 2-3 weeks. This is actually a joke. Lainey and I have had conversations about love and sacrifice in marriage. I believe that a sacrificial mentality is needed in marriage. She says that it’s never a sacrifice to do things for the one you love. But human nature is selfish. We typically look out for our own interests before looking to the interests of others. But Xianity throws that natural order into chaos and says, “Consider others more important than yourself. Look to others’ needs before your own.” In a sense, this is the heart of sacrifice. We give up our own sense of priority for the well-being of others. If a marriage is to go the distance, both partners need to embrace this attitude. Dear world, please brush your teeth twice a day and floss regularly. Your teeth will thank you. People you talk to will thank you. On top of this, however, is an important concept called modeling. It doesn’t matter what we say to our kids – our behavior says it louder. Don’t talk about the Bible with them. Live it out. Let them see it daily. That’s the best chance we have of making a lasting spiritual impact in the lofe of ANYONE, whether it be our neighbors, coworkers, or kids. So there it is. 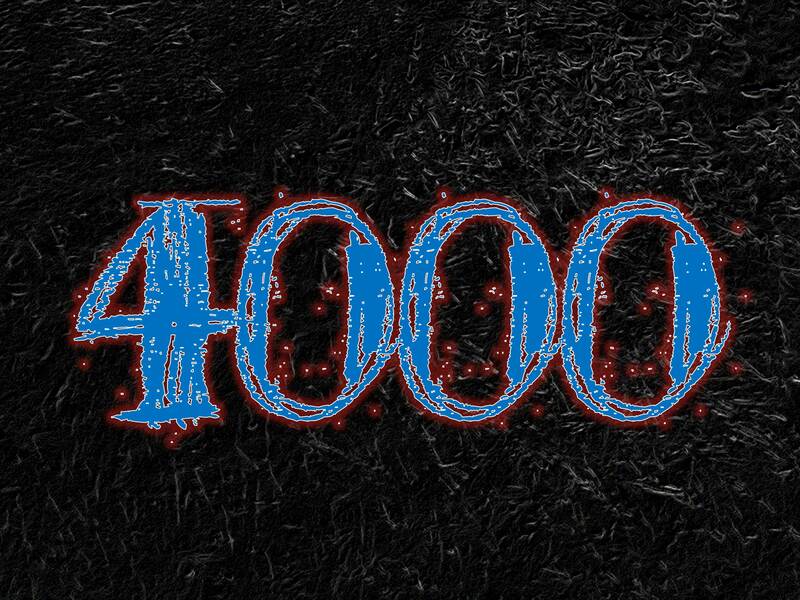 My 4000th tweet. Thank you all for playing.